Valentine’s day is one of my favorite days of the year. What’s better than celebrating love? It doesn’t have to be romantic love–I like celebrating all the love I have in my life! Since we had yet another snow day yesterday, Gia and I made my favorite super soft sugar cookies. 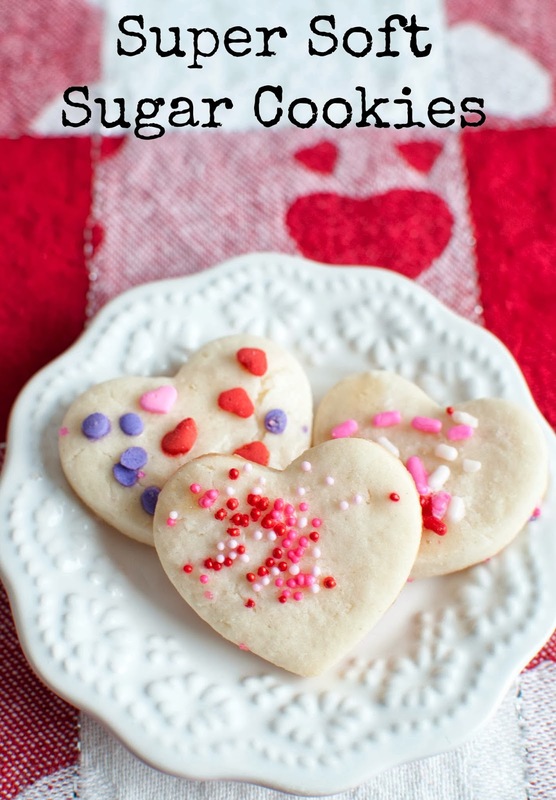 I absolutely love simple, yet tasty, cookies and a few years ago I was on the hunt for a sugar cookie that stayed soft. I found this recipe and they are totally my jam. 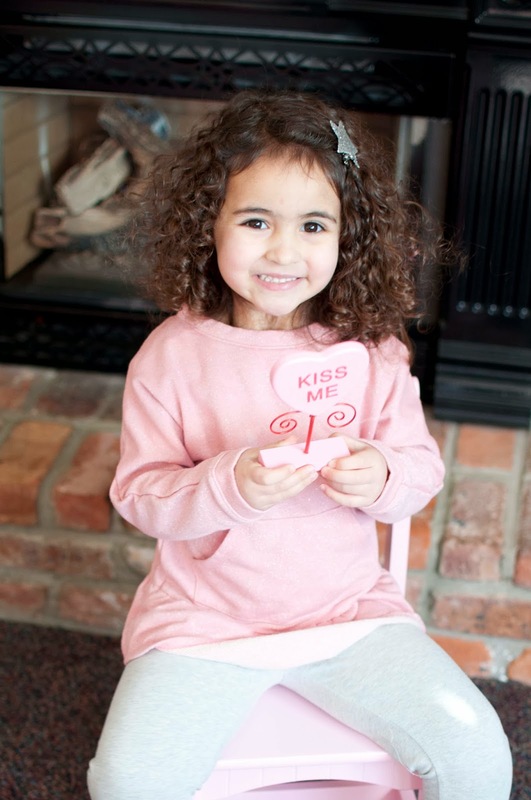 We make them every year for Valentine’s day and Gia had so much fun using the cookie cutters, brushing the cookies with egg yolk and decorating them with sprinkles. Sometimes we ice them and sometimes we don’t. We didn’t ice them this year and they are just as delicious. 1. In a large bowl, combine the sugar, butter, cream cheese, salt, almond and vanilla extracts, and egg. Beat until smooth. 2. Stir in flour until well blended. Chill the dough for 2-3 hours. 4. On a lightly floured surface, roll out the dough 1/3 at a time to 1/8 inch thickness, refrigerating remaining dough until ready to use. Cut into desired shapes with lightly floured cookie cutters. Place 1 inch apart on ungreased cookie sheets. 5. Leave cookies plain for frosting, or brush with slightly beaten egg white and sprinkle with candy sprinkles or colored sugar. 6. Bake for 7 to 10 minutes in the preheated oven, or until light and golden brown. Cool cookies completely before frosting. Reply	10 Delicious Valentine's Day Deserts - I Don't Have Time For That !